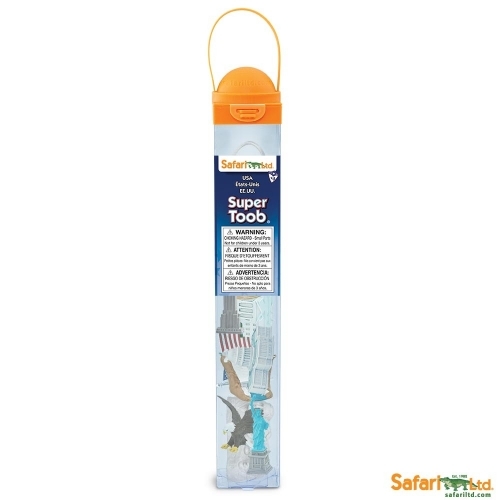 This new Safari Ltd® Super TOOB® features icons, like the bald eagle and Liberty Bell, that define American history. 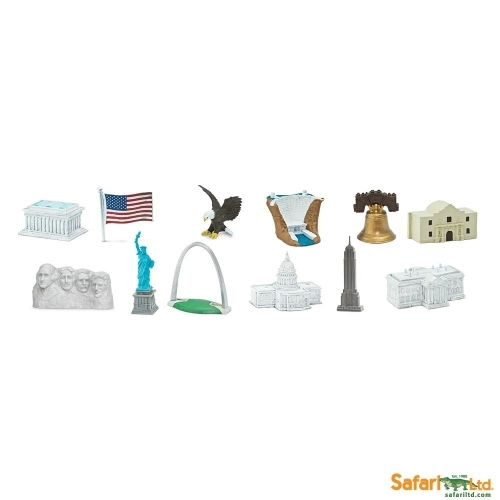 The USA Super TOOBS® contains: Lincoln Memorial, flag, eagle, Hoover Dam, Liberty Bell, Alamo, Mount Rushmore, Statue of Liberty, Gateway Arch, U.S. Capitol, Empire State Building and the White House. Celebrate American pride with these figures today!